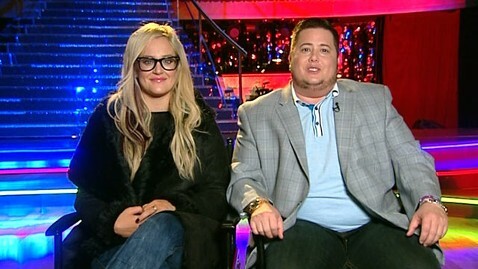 Chaz Bono, appearing with his Dancing With the Stars partner Lacey Schwimmer, gave a terrific interview to George Stephanopoulos on Good Morning America earlier today. Unlike Kirstie Alley, whose weight was celebrated last season, Chaz believes he was penalized by the judges for being an overweight man versus an overweight woman on the show. But overall, the show seems to have brought the only child of Cher and the late Sonny Bono out of his shell. A short time ago, Chaz posted this Tweet: I just want to thank everyone 4 your tweets and 4going on this amazing journey with me. I had the time of my life.